Never clean polished boots with soap. 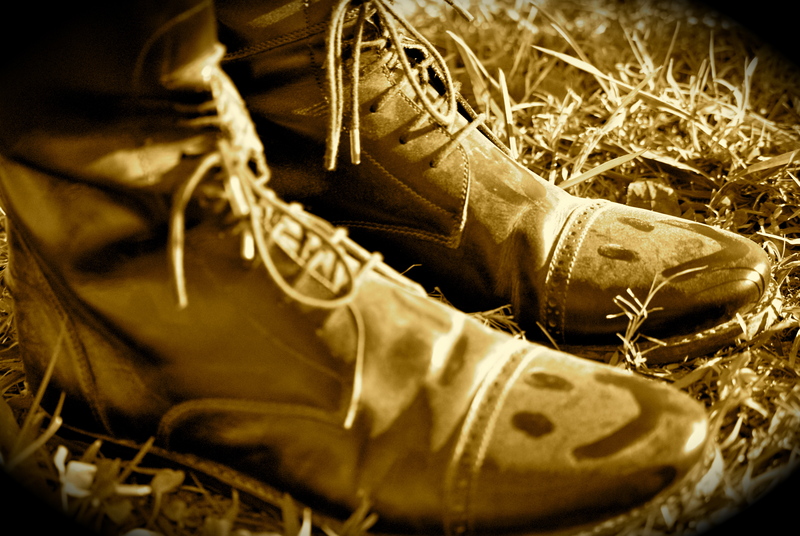 Using glycerin soap (or any soap) pulls the polish off freshly polished boots. If you want to limit the times you have to fully polish your boots (its a pretty smelly process) wipe your boots with a wet cloth. Make sure you polish them at minimum twice a month. Men? You can do the same with your swanky work shoes. That ought to save you some money at the shoe-shining stand. Break in your boots/shoes faster. If you just purchased fancy leather shoes or boots, wet them with a cloth or with the ‘mist’ setting of a garden hose and walk up and down a set of stairs for 40 minutes. Do this daily until they break in. DO NOT dampen white leather or light brown. This might leave permanent color changes! Do not use Urad. Though this product will make your boots shine through dirt, grime, and mud (probably) it does have one design flaw: the chemical compound for whatever reason eats through stitching. Not good. Stick to Fieblings or Kiwi (if you’re ok with cheap polish). Apologies for the huge massive insane delays in posting… life took the reins for a while and keeping up with posts got a bit tricky, but I’m back! And I plan on writing up more about current horse events and relevant equestrian news! Don’t let your horse be a designated driver: If you are intoxicated, keep your feet on the ground. In Florida, a man was recently arrested for ‘drunk driving’ his horse to his grandmother’s house and fleeing from police officers when he was asked to dismount. To read more about it, click here. Ride more: it’s good for your mental health. Though there is still some debate on the exact effectiveness of riding from a psychological perspective, it has been recognized that riding does provide a positive impact on humans. To read the exact details, click here. Give a warm welcome to Donald Trump. Though Trump has had his fair share of negative press for the number of uses of the phrase ‘You’re fired’ and his less-than-flattering comments about Rosie O’Donnell, he did make quite a stir with the Trump $100,000 Invitational Grand Prix in Mar-A-Lago, FL. As a special treat, The Voice winner Cassadee Pope performed to kick off the event, drawing in some non-equestrian fans’ attention to the sport. Raising somewhere in the ballpark of $1.4 million for charity, just about the only person who didn’t enjoy the event was Trump’s lawn. Click here for the full story. Always ride with a buddy on trails. You might feel like John Wayne galloping off into the sunset alone, but if you fall off, it’s going to be a long lonely walk home. Don’t wipe your polished boots with glycerin soap. It will wash the polish off and you’ll just have to polish the suckers again. Throw away the twinkle toes, and step away from the ‘blaze paint‘. Your horse will thank me later. Leave the glitter to the pony kids. Horseback riding isn’t for the faint of heart. In this world there are many sports that take charisma, athleticism, and a certain amount of humility to undertake. Horseback riding is certainly one of them. Whether you are having a gorgeous course or having the worst ride of your career, both should be approached as learning lessons. 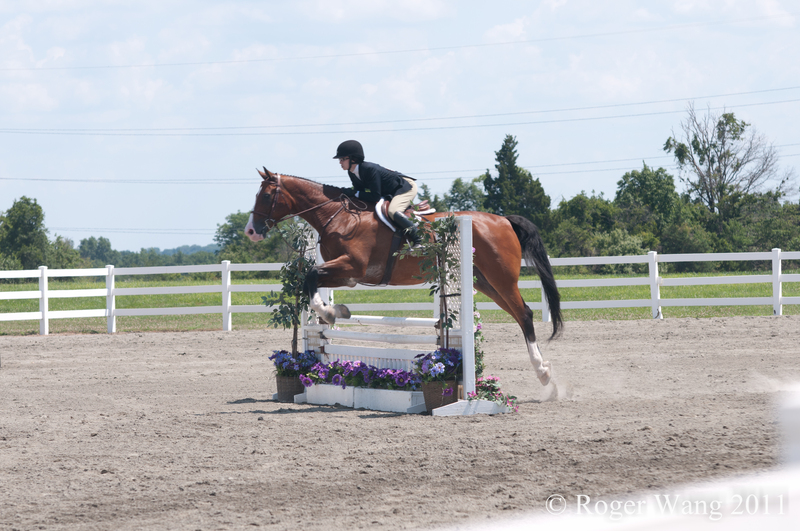 One minute you could be floating around a hunter course, flawless and fabulously making the entire class jealous; the next you could float face-first into an oxer and break a flower box. Horseback riding doesn’t care much who you are or how fantastic you think you are, because at the end of the day, personal victory generally outweighs the color ribbon you leave the show grounds with. Today I had that heart-sinking moment of realization that I had cantered up to a distance, that in no known universe existed, and promptly crashed directly into a fence right in front of my trainer, my parents, several of my barn mates, and worst of all the barn owner Tim. It was a moment of public embarrassment, humiliation, and probably the best dose of character-building I’ve gotten in a while. Apparently karma wasn’t sure I’d gotten the message because I did it again in the next course. What I learned today however, was that humbling oneself is the only true way to achieve anything in a sport where at a moments notice the wrong sound or movement could send your horse cartwheeling into deep space, and you into the dirt. Thankfully, I avoided the dirt today. 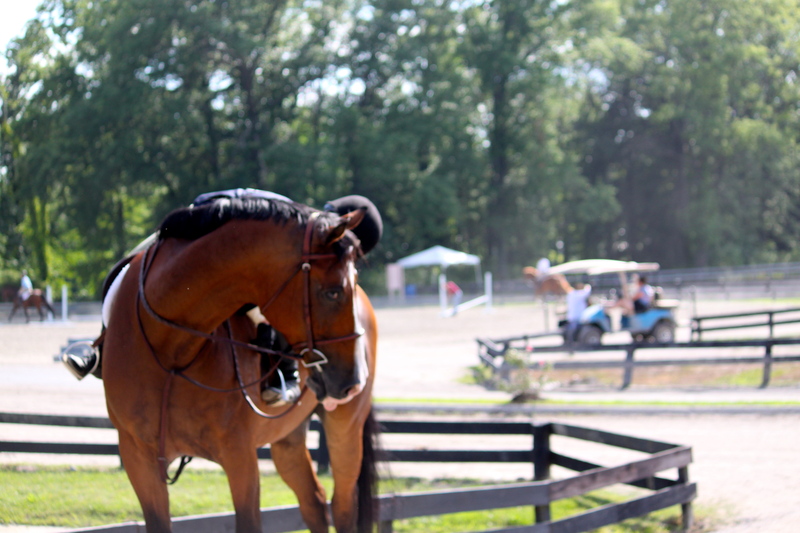 It does not matter how fabulous your horse is or how magical a connection you have, at the end of the day, its how humble you can be about it that counts. Today I went in expecting perfection and had a moment of pure hubris and the result was a literal smack to the face. The full-kilter hand-gallop non-existent distance will not happen again, and I will remember to take my morning dose of realness before going in the ring.